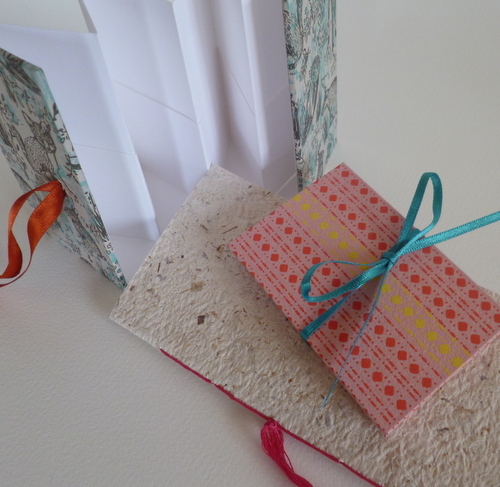 Handmade books make delightful and unique gifts. Learn how to make mini accordion books, pocket fold books and pamphlets using handmade and pattern papers, ties and decorative stitching, with bookbinder and teacher Megan Stallworthy of Perfect Bindings. Megan Stallworthy is a freelance bookbinder and member of the Devon Guild of Craftsmen. She runs regular workshops at arts centres and book festivals in Devon, Cornwall and Somerset, and has taught bookbinding at Petroc, Somerset College, Exeter College and the Slade, UCL. She is an associate lecturer in Graphic Design (Bookbinding) at Falmouth University.